Aulacorhynchus huallagae Carriker, 1933. This species shares the genus Aulacorhynchus with six other species of toucanets. French: Toucanet a sourcils jaunes; German: Gelbbrauen-Arassari; Spanish: Tucancito de Cuello Dorado. Like other members of this genus, has a green back; under-parts are red with golden-yellow undertail coverts and white band around base of tail. Length 14-16 in (37-41 cm); weight 9.3 oz (264 g) male; 9.8 oz (278 g) female. 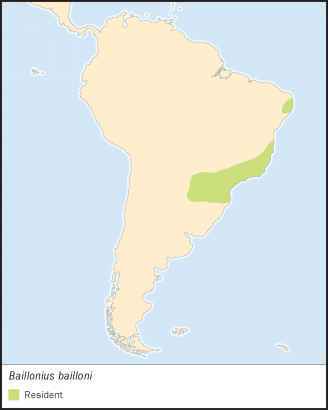 This species is restricted to two small and isolated highland forest fragments in central Peru. 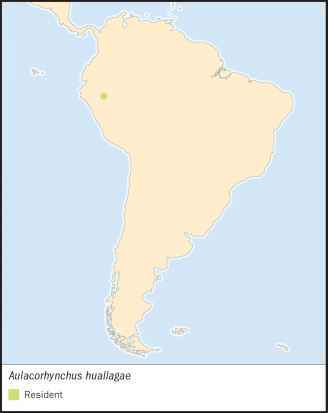 This species occupies the canopy of cool, humid, cloud-forests from 6,970-8,240 ft (2,125-2,510 m) in elevation, where trees are thickly covered with epiphytes and undergrowth is dense. Not well known; has been seen feeding on flowers and melas-tome (family Melastomataceae) fruits. Remsen et al. examined stomach contents of three specimens and found only fruit; no arthropods or small vertebrates. Endangered. Habitat loss due to widespread deforestation is the principal threat. The geographic range is estimated at 175 mi2 (450 km2). 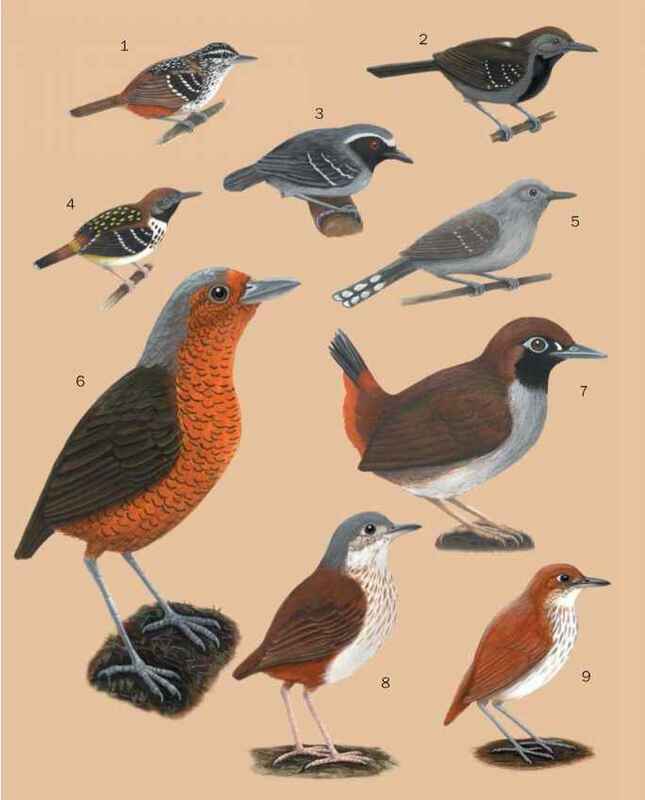 Although this species occurs within the Rio Abiseo National Park, the population may be small. Precise numbers are unknown, but populations appear to be declining.